Looking to shrink your project’s eco-footprint? You need Digga Group – a specialist demolition and excavation contractor committed to sustainable practice. We do much more than knock ‘em down and dig ‘em out. In the process, we recycle more than 80% of demolition materials. Whatever your challenges, we’ll deliver an economical, safe, clean and fast solution that supports your bigger project goals and shrinks your environmental footprint. From site survey and planning, to costing and execution, our skilled team and top-rate equipment fleet will get your job done. 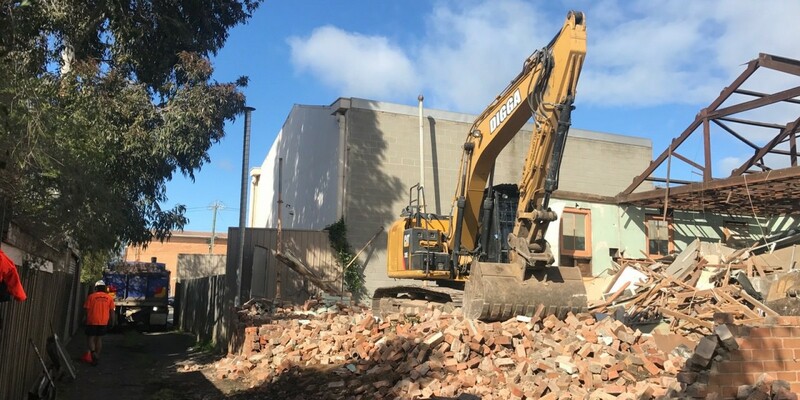 Based near Geelong, we work throughout Victoria (and beyond) with construction and infrastructure companies, developers, local authorities and individuals, right across the spectrum of commercial, industrial and residential projects – demolition, excavation, asbestos removal, heavy haulage and equipment hire. At Digga Group, we’re serious about what we do … and about what we do for you.